Historically Champagne has not been seen as a wine appropriate for investment purposes, certainly not in the same way as say red Bordeaux. 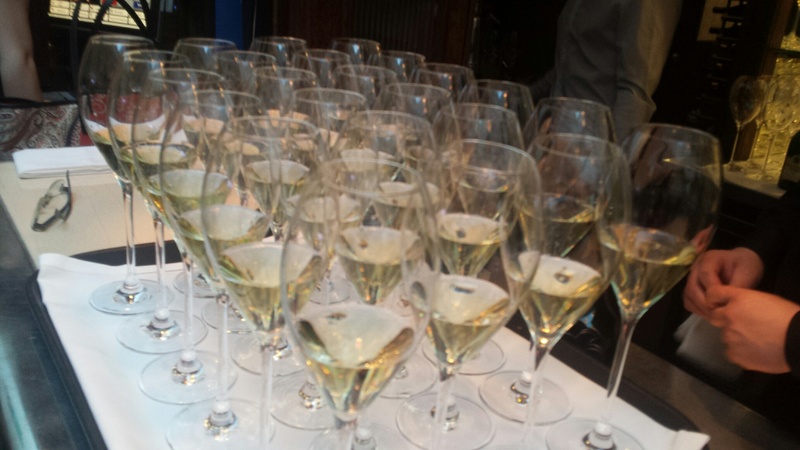 The three most commonly traded prestige cuvées have in the past been Dom Pérignon, Krug and Louis Roederer’s Cristal. Vintage Krug and Cristal, both produced in far smaller volumes than Dom Pérignon, tend to have the higher values, though which comes out on top depends on the particular vintage, it seems. Cristal is ahead in 1990 (by some way), 1995 and 1996, but behind Krug in 1985 and in the recent much vaunted 2002 release. Some would put Salon in the same category, and the price of the last but one Salon release, the 2002 vintage, was even higher than Krug’s 2002. But in recent years other luxury cuvées have joined the party and in the Liv-ex index of the best performing prestige cuvées from the 2002 vintage (the most significant release in the past decade, though it might be challenged by 2008 in time), Bollinger Grande Année, Taittinger Comte de Champagne, Dom Ruinart, Philipponnat Clos des Goisses and Pol Roger Sir Winston Churchill Cuvée all feature. These five champagnes are listed here in ascending order of release price, but in terms of accruing value, one which has increased by 59% stands out and that is the Taittinger. 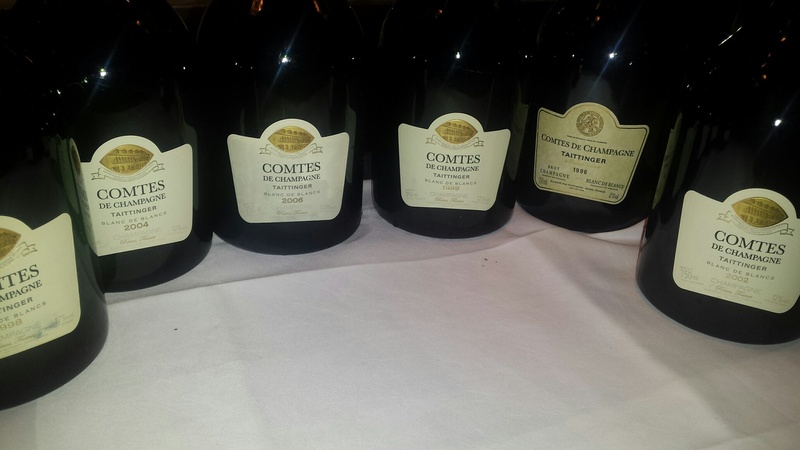 You might think this suggests that Comtes is severely undervalued, not something you can accuse Salon of on release (in over two years since it was first released the value of 2002 Salon has only risen 1% from £2,650 to £2,680 a case, according to Liv-ex Index, February 2016), the next best performer is Dom Pérignon 2002 up 34% since its launch. But whatever the reason, the chance to taste six of the past eight releases of Comte de Champagne a couple of weeks ago — 2000 & 2005 were the missing years — was not to be sniffed at. Interestingly The Finest Bubble (www.thefinestbubble.com ) who put on this tasting, showed the wines blind, partly to try to keep pre-conceptions about the relative quality of any given vintage, out of peoples’ judgements. But also so any assessment of development and maturity was not influenced by knowing the age of the specific wine being tasted. 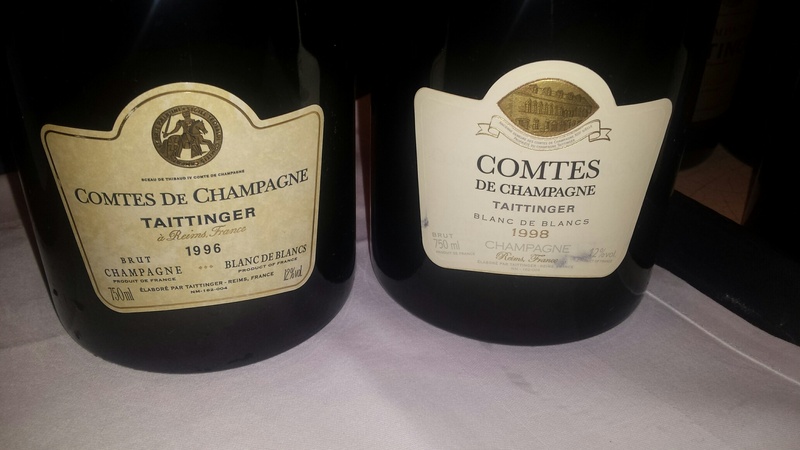 To add further interest, or possibly further confusion, one ringer was put in that turned out to be Taittinger 2002 Brut Vintage, which as the only white champagne with 50% Pinot Noir in the blend, should have stood out a mile among the all-Chardonnay Comtes. Since the 1988 vintage, a small proportion of the blend – just 5% — has been aged but not fermented in new French oak barriques. The idea is to add another strand of complexity, not mask the purity of fruit which is the most important characteristic of the wine for Pierre-Emmanuel. He quotes his uncle Claude describing the style as ‘pure Chablis with two fermentations’ which is particularly true in its youth. So Comte is a champagne that tends to be notably shy and austere in its youth, even though it gets typically at least eight years ageing on its lees before release. To help us attune our palates before the main event there was, very sensibly, a warm up act in the shape of the recently released 2008 served in magnum. This was a good choice as the lifted and pronounced acidity of the ’08 vintage set us in the right mind set for what followed. The six vintages of Comte were then all poured and we were asked for our assessments re vintage and relative maturity, plus a score for each wine. The first three vintages served were 2006, 1999 and 1996. These were relatively easy to assess and most of the audience picked them correctly, the ’06 with its lively acidity tempered slightly by the warm vintage; the ’99 clearly showing quite a bit more development and some attractive biscuity character; the ’96 more evolved and complex, but with the sherbet-like acidity of the ’96 harvest still very much in evidence. The straight ’02 vintage, next in the blind line-up, rather threw people of the scent and the 2002 Comte that followed was less easy to place in terms of age, though a lovely balance and very long finish was a clue given the remaining three options of ‘04, ‘02 and ‘98. 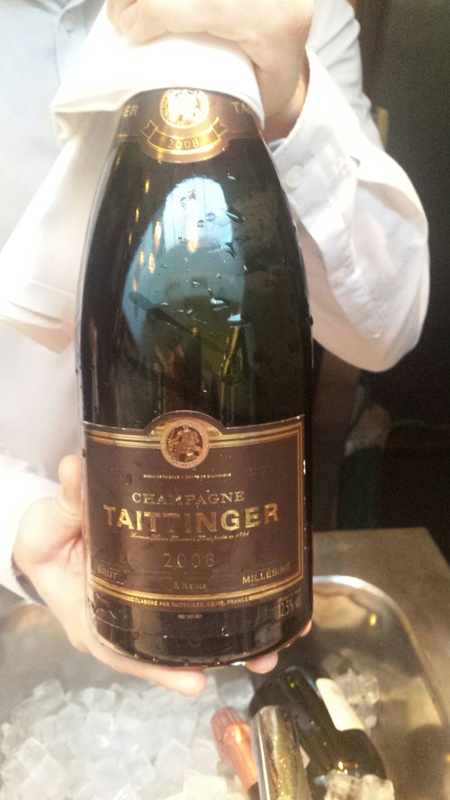 But the ’02 remains quite tight, youthful even, a feeling probably amplified by tasting it immediately after the, more mellow, rounded 50/50 Pinot/Chardonnay 2002 Vintage Taittinger 2002. This is however a classis Comte wine, still comparatively lean it surely still has a long future ahead. The picture was further complicated by the 2004, arguably the surprise of the night, receiving the equal highest score from the voting audience. This was quite forward and like so many of the initially underrated ‘04 vintage releases, is already very attractive drinking, suggesting rather more maturity than you’d expect from Comte at this stage in its life after a mere dozen years in bottle. The last tasted 1998, a riper, fuller more toasty style, whose relative maturity was as evident as the 1996, scored equally with the ’04. For me the ’96, an overhyped vintage in general when precious few houses actually made great wine, was the star of the night, with the ’02 showing the most long term potential. 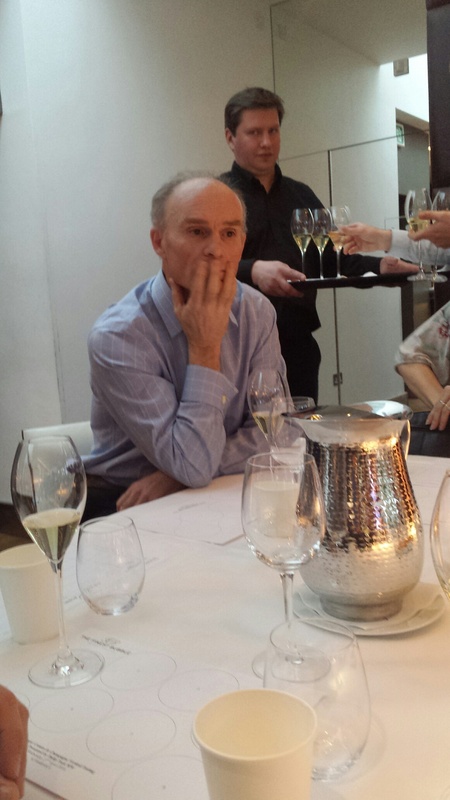 At the time of the tasting, The Finest Bubble has stocks of all the wines, though very little left of the ’96 and ’99. Next Next post: Will discounting slow, given likely small harvest in 2016?